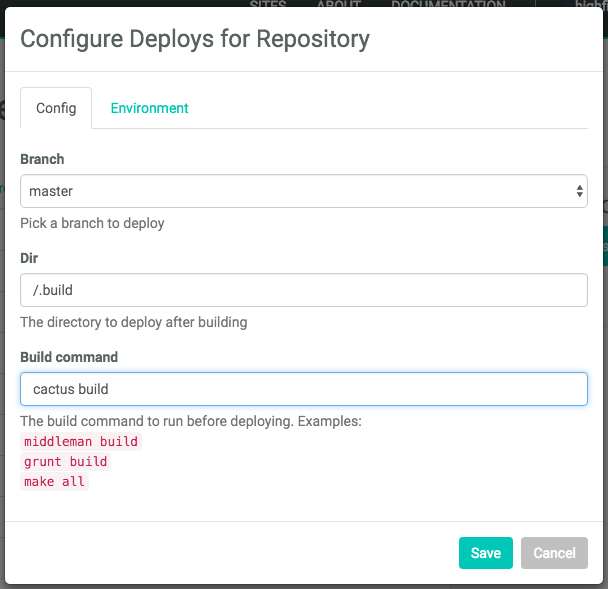 Let’s take a look at building a site with Cactus, including continuous deployment. 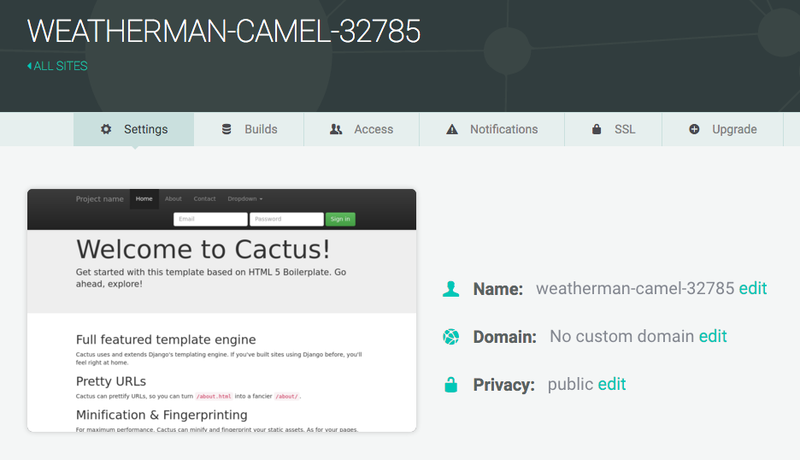 Cactus is a modern build tool that runs on Python and uses Django’s templating engine. Cactus has a lot of tricks up its sleeve, and even has a Mac app. The app doesn’t work out of the box with Netlify, so there are a few quick changes you’ll need to make before you can deploy. Jump to Created with Cactus App to make those changes. 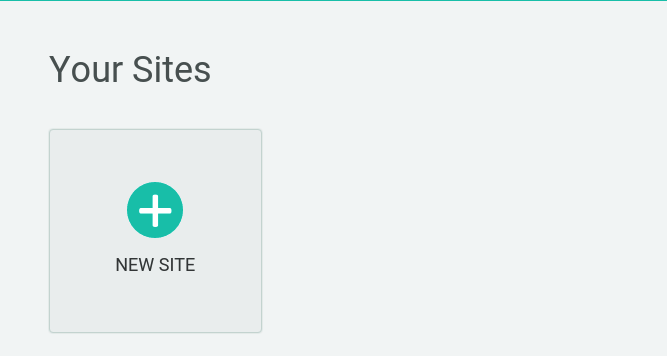 If you’ve already built your Cactus site, you can jump down to Connecting to Netlify. Installing virtualenv will allow you to easily control all the dependencies needed for your project (or any Python project). This way, we can make sure that what you see when you build your Cactus site on your local machine is exactly what you see when you host that site on Netlify. This creates a directory called my-site inside the cactus directory, which you’ve set up as a virtualenv. Now you can view your site by visiting http://localhost:8000 in your browser. If you are satisfied with your site, it’s time to get it ready to deploy. First, let’s make sure that Cactus and GitHub will play nicely together. Now it’s time to push it to your repo of choice. What follows are directions for users of the CactusforMac app. You don’t need them, so you can jump down to Creating Your Git Repo. If you created your site with the CactusforMac app, you know that it’s set up out of the box to build on your machine and deploy to Amazon’s S3. With Netlify, the site will actually be built on our server (so that we can optimize it, making it lighter, smaller and faster) so you’ll need to make a few changes before you can launch the site. First, navigate to the folder where your site lives. If you used the app’s normal naming structure, it will be named something like My Blog Site. Python doesn’t like spaces, so rename that folder to something like my-site. That’s all you have to do. Now it’s time to push to GitHub. 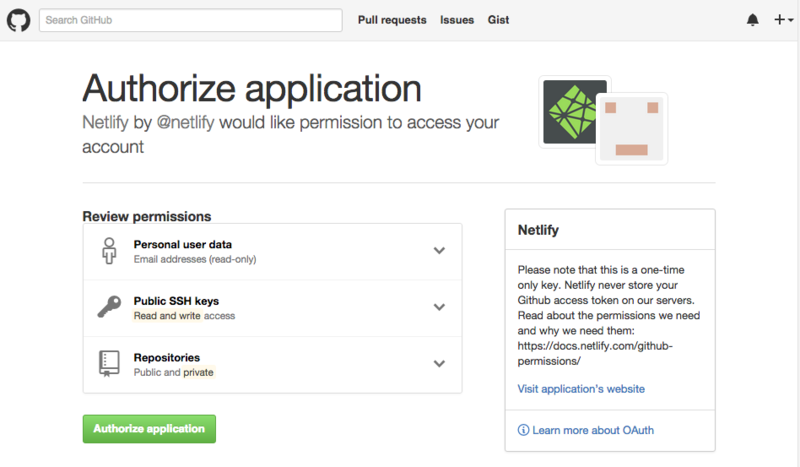 Now that you’ve connected Netlify and GitHub, you can see a list of your Git repos. There’s the “cactus” repo we just pushed to GitHub. Let’s select it. Here you can configure your options. Be sure your settings match the screenshot above, with /.build as the directory and cactus build as the build command. Now it’s time to sit back and relax. Netlify will build and optimize your site, and you can watch the progress. Wait, you thought there was going to be more? Nope! Netlify has done it all for you, including giving your site a temporary name. Your site is now live. Congratulations, and thanks for using Netlify!